There was a lot of jokes made before I moved here about how fat I would become. So far I haven’t gained any weight, but I’m sure between the abayas and the fatty food here, that will change. Yesterday one of my coworkers made maqluba, one of the national dishes in Jordan, and invited me to dinner. If you have never had magluba, all you need to know is it’s delicious. 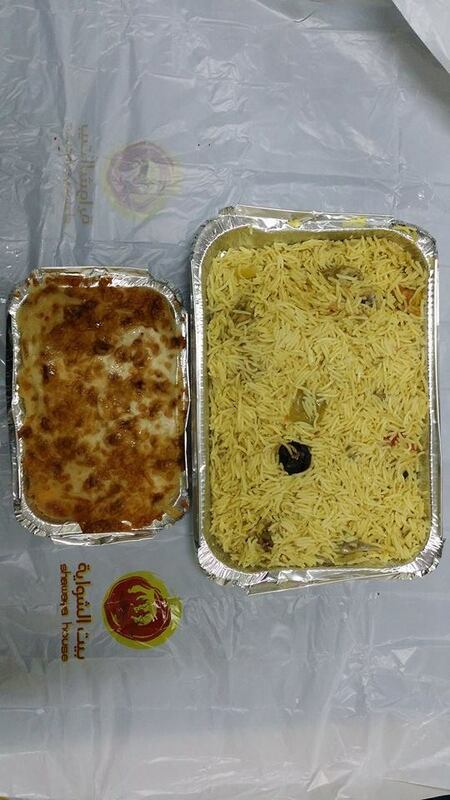 Today I found myself alone with a pile of kabsa, a popular Saudi dish, usually containing rice and meat, and bechamel, which is like a cheesy Arabic lasagna. I’m really trying not to get fat, but the temptation is everywhere… and it tastes too good.